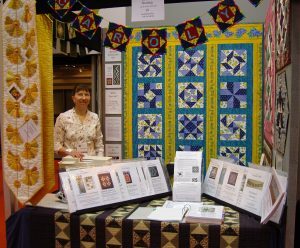 I have been developing and teaching my own patchwork and quilting designs for over twenty years from my base in Sheffield, which is in the north of England. 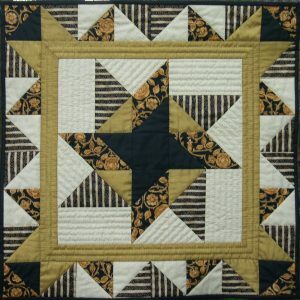 I specialise in traditional-style patchwork, and love the variety of blocks available, and the changed effect with a different choice of layout or fabric. 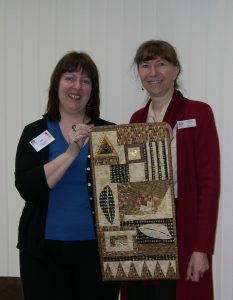 Although I no longer have a stand at the Festival of Quilts selling my patterns, I still teach there regularly. 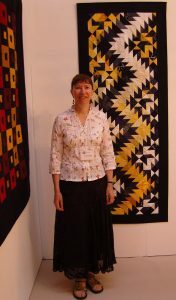 In my “other life” I teach Chemistry – and this mathematical and technical interest is perhaps why I love the geometry and precision of patchwork. I enjoy teaching both beginners and those with more experience. 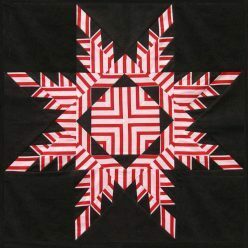 I like helping students to learn how to improve their techniques so they get really good results – perfect points on stars, and well-matched stripes for example. All my patterns include pages of these tips! 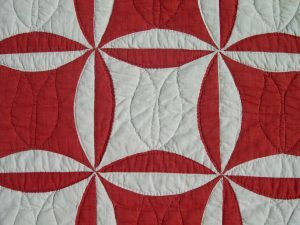 In recent years I have become more interested in the history of the craft, and now have an extensive collection of antique quilts which I love to share. Your peace of mind when using this site is important to me.